Undertale creator Toby Fox said back in November that it was unlikely that any forthcoming patch “will contain anything other than bugfixes.” And that appeared to be the case with the update that was released on Steam yesterday, which promises to “fix bugs and increase compatibility,” but nothing more. Nonetheless, the sharp-eyed members of the Undertale subreddit have determined that there may be more going on than meets the eye. “Determined” might be putting it a little strongly, but they certainly seem to have a plausible theory. 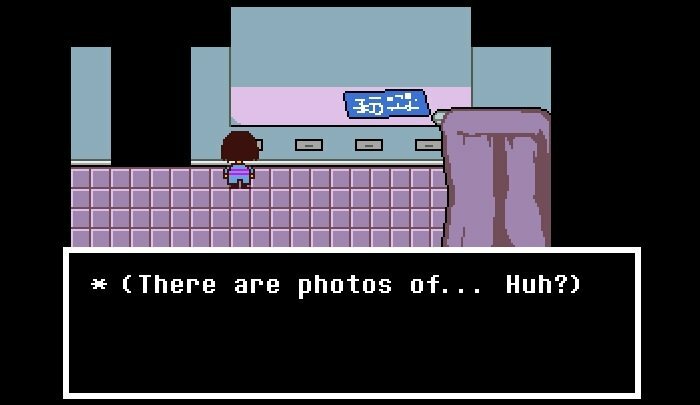 To make sense of it, if you’re not an Undertale veteran, you’ll probably want to have a look at Kotaku’s summary, which contains some big but necessary spoilers. Essentially—and this will be a spoiler too, so consider yourself warned and look away now if you don’t want it blow the surprise, because this is your last chance!—the new content, which includes new dialog and a changed audio file, appears to add the pseudo-mythical character known as Gaster to the game—sort of, anyway. Prior to this, according to the Undertale Wiki, Gaster’s existence was only hinted at by certain in-game characters, and direct references could only be accessed by editing game files. Even now, the odds of actually encountering him are apparently extremely slim—but if the redditors are correct, it can be done. It sounds like a fairly small thing as additional content goes, but Undertale is an outstanding game—we don’t give those Editor’s Choice awards to just anyone, you know—in large part because there’s a lot more to it than is initially apparent. In that light, this kind of meta-mystery is the perfect way to add even more twists and turns to the game. The patch also fixes bugs of various sorts, as mentioned, but it does not address the problems caused by the latest update to the Steam client beta. If Undertale stops launching after the update, Fox recommended reverting to the standard Steam client.